If you want to make sure your Failure Mode and Effects Analysis is a bust and a waste of time, here are 10 sure-fire ways to derail an FMEA. 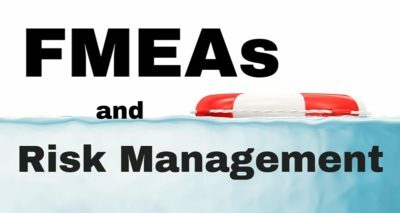 1: Use FMEAs to prioritize risks, but don’t do anything to reduce the risks. The initial output of a Failure Mode and Effects Analysis is the prioritizing of failure modes based on their risk priority numbers (RPN). Prioritizing does not eliminate the failure mode. 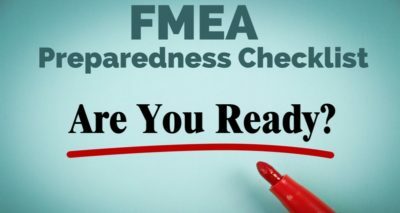 Additional action (that might be outside the FMEA) is needed to mitigate risks. 2: Assign one person to conduct the FMEA on his or her own. Identifying failure modes is best done with team brainstorming. A comprehensive list of failure modes is the basis of a solid FMEA. One person acting alone cannot be expected to develop a rich list of potential failures. 3: Do the FMEA in an afternoon. It takes time to get into the details that are necessary for a strong Failure Mode and Effects Analysis. 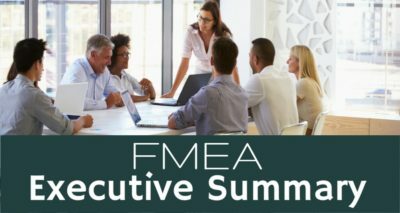 FMEAs conducted over several sessions allow time to gather relevant data, solicit input from others not on the team and for team members to absorb information and question findings. 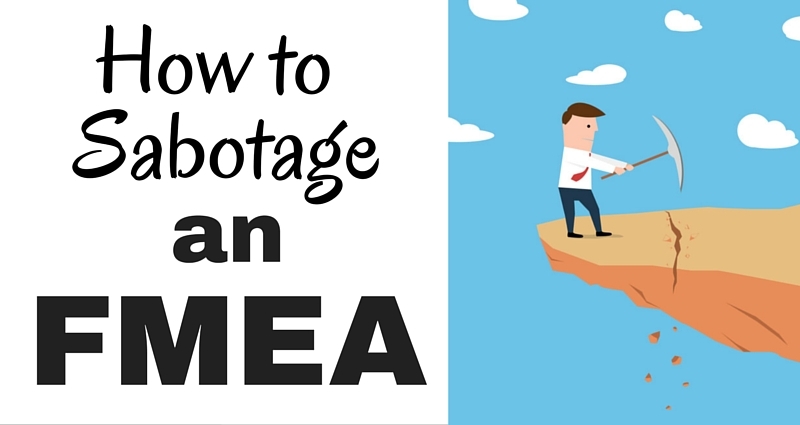 4: Make the scope of the FMEA really broad. 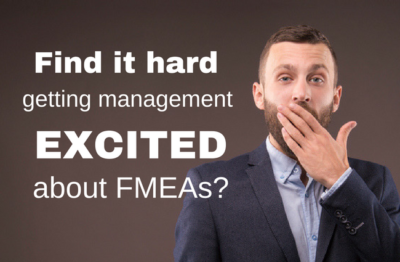 Taking on an entire process (or design) will be a daunting task for the FMEA team. Break a large process down into manageable chunks. If the team starts to feel that the scope is bigger than initially expected, break it into two or more smaller FMEAs. 5: Make sure that people who work in the process don’t participate in the study. Experienced operators should be on the team to add their perspective. They often have good information on failure modes and on the effectiveness of control systems. They might have information on occurrence as well. 6: Avoid getting into the details of the product or process. A superficial look at the process will miss many failure modes. 7: Focus only on external failure modes and ignore internal failures. Many FMEAs focus only on the customer requirements (specifications). Sometimes internal productivity losses, equipment damage, scrap and rework have very severe effects on the company. 8: Don’t bother customizing the Ranking Scales used to evaluate Severity, Occurrence and Detection/Prevention. Ranking scales should be meaningful to everyone in the organization. The generic rating scales might be confusing to some teams. Management will not be able to compare RPNs in order to prioritize activities between teams. 9: Don’t bother with mistake-proofing techniques as part of Action Plans to mitigate risk. FMEA is a prioritization tool. It doesn’t eliminate failure modes or effects by itself. Mistake-proofing is one of the most powerful ways to reduce risk. If the occurrence ranking can be reduced to 1 the RPN for that failure mode will be slashed. This is especially true with failure modes that have very severe effects. 10: Don’t tie the FMEA to a Control Plan. The control plan tells people how to react when a failure mode occurs. The FMEA will not be a living document if it is not tied to the control plan.